I recently coordinated a shoot with model Sheri Miller (MM# 2556797). We wanted to have an outdoor shoot to take full advantage of the unusually pleasant weather and decided on a light fashion/editorial concept. After drafting out a few shots and setting a date we went for it! You can click on any of the thumbnails for a larger version. All images were created with a Canon 5D mark II and a Canon 70-200 f/2.8L II lens. We were able to coordinate our schedules to meet for golden hour and as such no light modifiers were necessary for this shoot. Sheri will be leaving the United States at the end of August, if you would like to book a session with her she is available through her Model Mayhem and Model Brigade sites.  Feel free to reach out to me if you would be interested in arranging a shoot via my “Contact” page.